50 gram pure (un-sugared) melted chocolate. It’s important to create a separate batter for the zebra cake. Most often you see black and white zebra cakes (which is also the one we are going to bake). You can create a funky version of this zebra cake by coloring your batter using coloring gels! Pre-heat your oven to 175 degrees celsius or 347 degrees fahrenheit. Whisk half of the butter, sugar, vanilla sugar and salt in a big bowl until it becomes a creamy mixture. Be sure to use exactly half of the ingredients since you’re going to need the other half to create the chocolate batter. Add in half the self-rising flour little by little. Keep mixing until the batter is smooth. You can use a standmixer for this step if you prefer. Repeat this step but replace the vanilla sugar with the melted chocolate. Grease and flour two baking tins or line with paper liners. We prefer greasing the baking tins because this prevents creases in the end. This step is important: scoop about 1 or 2 tablespoons of vanilla batter and spoon into the prepared baking tins. 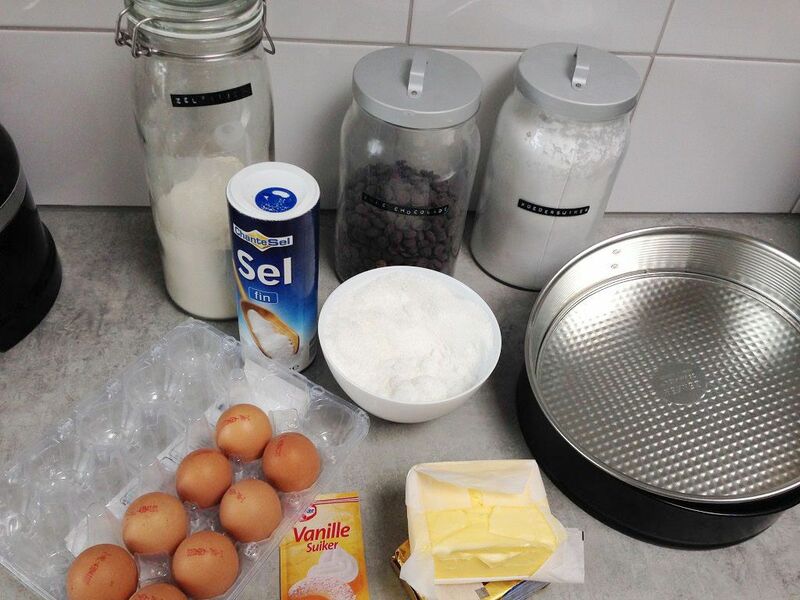 Repeat this step by spooning in 1 or 2 tablespoons of chocolate batter on top to create two baking tins with layers. Repeat until both bowls are empty and you have equally filled baking tins. Bake the cakes for about 60 minutes, be sure to keep the oven closed otherwise the cake will lose its firmness. Place the zebra cake onto a cooling rack and let cool completely. It’s easy! Mix the butter (make sure it’s on room temperature) together with the vanilla extract and Bailey’s irish cream. Pour into your standmixer (or whisk by hand) until the mixture becomes smooth and firm. 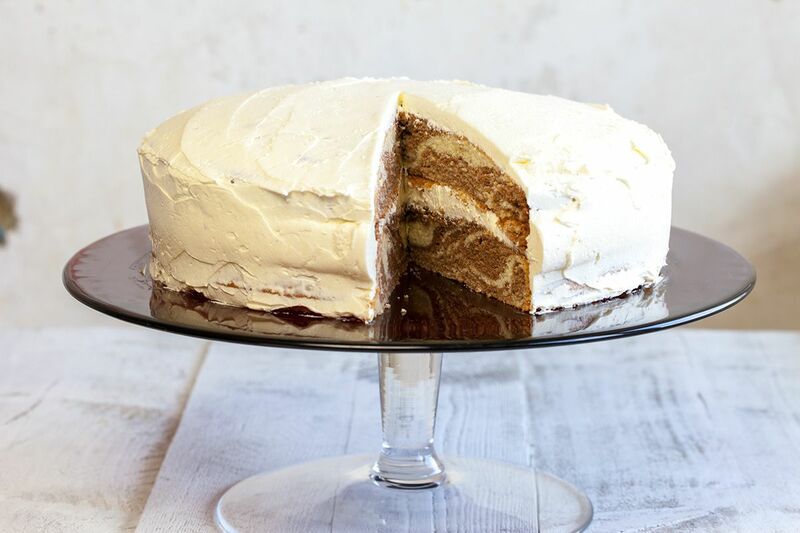 Put a thick layer of icing on top of one cake and put the other cake on top of the icing. 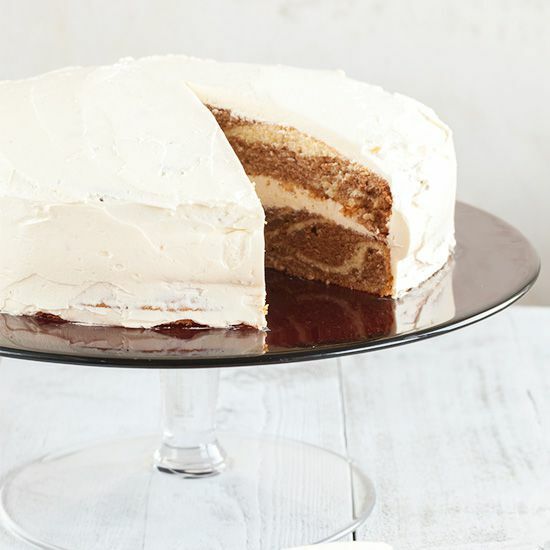 Spread the icing that’s left evenly over the zebra cake by using a palette knife. Tip: you can use this recipe to bake 24 zebra cupcakes. These will bake in about 20 minutes instead of 60 minutes. Wish I had a slice of this zebra cake to devour right now.. it looks SO delicious. Pinned! 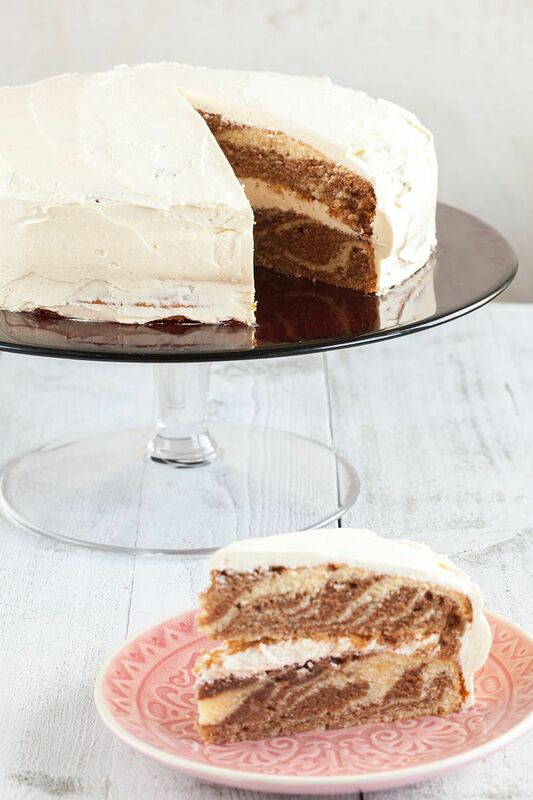 This looks great In made a zebra cake years ago, and had forgotten about it – my kids would love the novelty of the stripes – Thank you for the inspiration! Hi Bec, this cake is so much fun for kids (and adults!). Enjoy!